Experience total relaxation during 45 minute Salt Cave sessions, offered every hour on the hour. Indulge in luxurious treatments, ranging from the signature Salt-sational Himalayan Salt Scrub and Massage, to the unique and restorative Nexneuro Vibration Treatment. Swedish and Deep Tissue massages are also available and all treatments are topped-off by a complimentary 45 minute cave session. In a world where fashion is sometimes taken a bit too seriously, Montecito clothing and lifestyle boutique Whistle Club provides some respite. That’s not to say there isn’t some serious fashion here - there absolutely is! 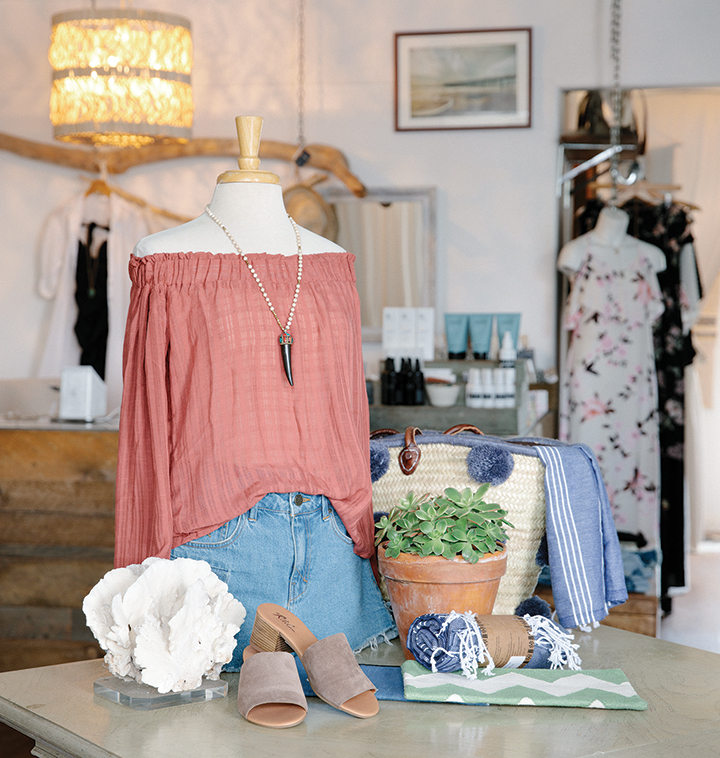 For owner Rebecca Blair it’s all about creating an atmosphere where a warm and welcoming retail experience and high-quality merchandise can coexist. At Whistle Club customers can mingle and grab a cappuccino at the in-house Stumptown Coffee Roasters espresso bar while shopping clothing, accessories, and gift items from emerging designers and industry favorites. The designer edit at Whistle Club is constantly evolving. Whether perusing social media, the latest issue of Vogue or scanning the streets of New York City, Blair is always on the lookout for the next great addition to the store’s brand matrix. Looks from Rachel Comey, Horses Atelier, Tibi and Closed are perennial favorites, while Carven and Re/Done and Miranda Bennett are new to the store this season. The curated selection pulls the best from the casual West Coast to the edgier East. If you are in the market for coveted designers and perhaps a little caffeine-induced buzz, make Whistle Club your next stop.